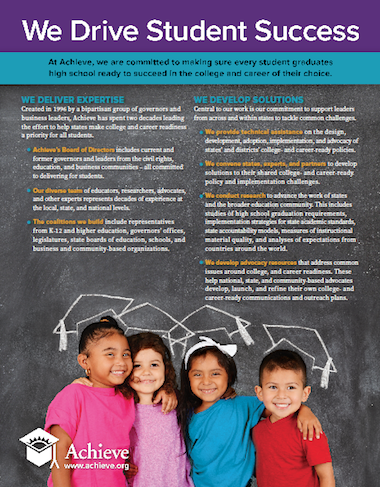 Since 1996, Achieve has been the leading voice for improving college and career readiness in the United States. 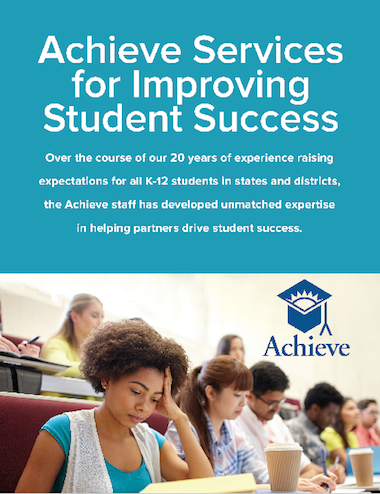 By convening states and leaders, providing technical assistance to states, conducting research, and offering advocacy, communications, and outreach support, Achieve has transformed the concept of college and career readiness for all students from a radical concept to a national priority. 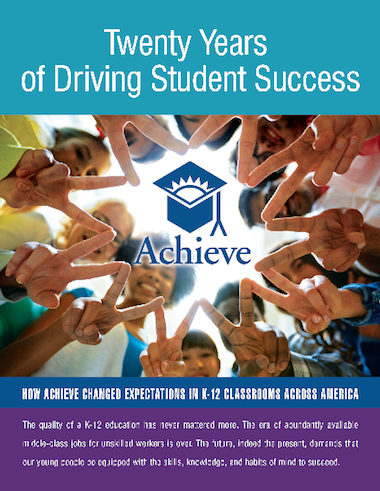 – A look back at Achieve’s two decades of driving student success. – Our four strategic priorities for continuing to deliver the expertise, solutions, and results that drive success for all students. – Read more about the work Achieve does today. 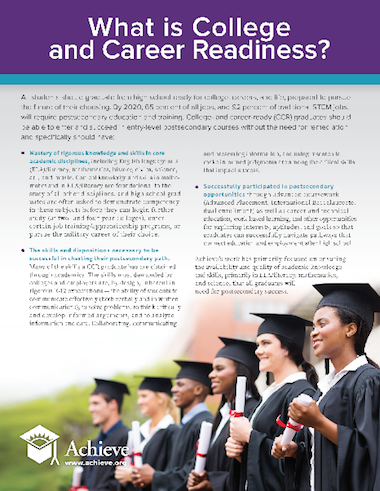 What exactly does college and career readiness mean?